I would almost hesitate to call this new release post-rock. Post-rock music in its purest form is highly processed and heavily distorted instrumental rock music that more often than not hints at a coming apocalypse. Apricot Rail has crafted an interesting release in instrumental music that eschews the heavy distortion for more organic instrumental melodies with just enough feedback to provide a sweeping atmospheric texture. Vocals, while sparse, only serve to accentuate certain melodies without playing an integral part in the sound as a whole. This is immediately evident from the opening bars of the very first track. Another thing that stands out with this release is that this band is not afraid to experiment with lullaby-style electronic harmonies or unconventional instrumentation. More than one track includes strings and several feature full-on horn sections. This creates yet another interesting dynamic in the music. During Cicadas...Part II, a horn section almost had me convinced that I was listening to an odd rendering of The Beatles' Strawberry Fields. This was a rather astute observation considering that I'm not a Beatles fan. This album almost literally renders me speechless. It is that good. There is something in this music for everyone. I can't find a single beef with the flow of this album. 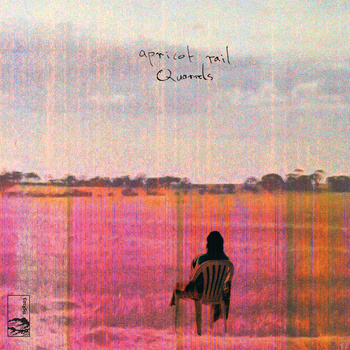 "Quarrels" is certainly an early candidate to make our year-end list. This is extremely impressive music from a relatively unknown band. The music beautiful and uplifting in ways that most post-rock fails or does not care to attempt. If you like instrumental music of any kind, you MUST check this out. You can stream the entire album below. As always, thanks for reading and enjoy!